Growing businesses have multiple requirements on the front office and the back office needs. The call centers are a proven tool for both sales and customer service. However, the use of call centers is not just restricted to these two functions. Call centers can play a vital role in customer maintenance, collections and B2B network development. The benefits and need for call centers is well established by now. However, it is important to select a right partner that gives your that efficiency edge as well as the dependability. Once you think and decide that your business requires the assistance of a call center, you should consider a number of factors which help in selecting the call center that provides the best services for your needs. The following factors help you select a suitable call center that works out best for your business. There are different processes within a call center likes sales, customer services and collections to name a few. The dynamics for each service is very different and hence it is important to map the strengths and experience of your prospective call center for each of these processes. Service industry businesses have a huge set of queries that may present themselves, requiring toll free customer service or 24 hour live help desk support to ensure the customers are provided with good assistance to save their time and money. No customer likes to wait for a long time on the phone. 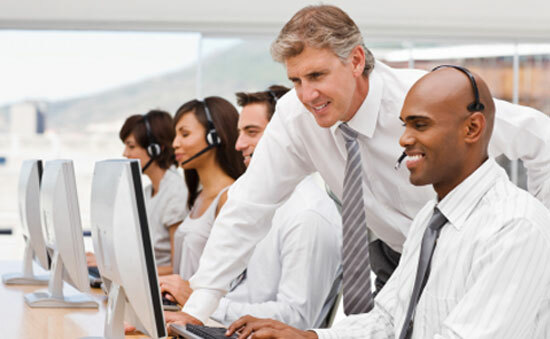 In such cases, call center services play a crucial role in resolving the issues of customers. Inbound Call Centers offer you an abundance of services for businesses of any scale. Hence for requirement like customer service above it becomes pertinent to check whether the call center has done a similar mandate successfully and whether it pertains to your core Geography, Industry and whether the call center has worked with the response parameters that you have in mind. Mapping of requirments with experience will reduce the teething problems and it will crash the learning curve of the outsourcing project as a whole. The location is an important factor in making a choice. Each Geography brings an expertise for eg) Philippines has an excellent talent pool for English speaking voice proceses while India has a large pool and expertise for Knowledge Process Outsourcing. Location is hence incredibly important because it indicates various aspects of your decision. Besides the location can also be governed by either strategic or sometimes regulatory directives pertaining to nearshoring or off shoring of the process. Last but not the least, the location also makes difference in the costing of manpower.